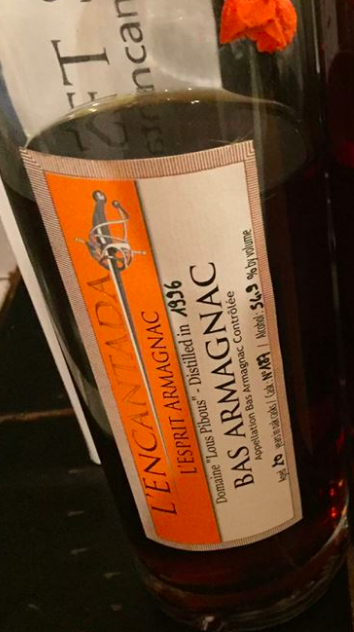 L'Encantada is a French indie bottler of Armagnac that has been making waves in Europe, and this is part of a four-bottle first-in-America release via K&L Wines and a private buying club. Serge Valentin and Sku have raved about the Lous Pibous Armagnacs and I've jealously dreamed of the chance to get my own bottles. I was able to snag a bunch of the #188 and #124 (reviews will be posted when I take delivery), but for now, we have #187, which many think is the best of the bunch. This nose has some "bourbony" notes, but it's clearly an Armagnac. Actually, it smells like milk chocolate or Nestle Quick. If I parse it more deeply for the reading audience, a nice gingerbread/toasted, fruit, and oak mix, so expectations are high. And it's delicious. Is it the mind-melting, LSD-for-the-tongue, meaning-of-life-on-Ayahuasca experience that I was hoping for, based on the hype? No. But it's excellent Armagnac: heavy oak, dry fruit, and spicy as hell. All of the things I like in the region, with an additional punch of oak from the new-char barrels. My Armagnac style is Pellehaut and Baraillon, and this is a great representation of the style: rustic and wild. 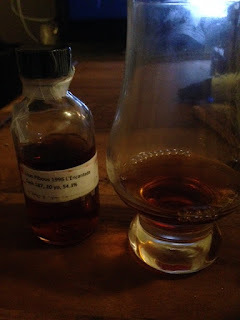 Great body too, without a hint of heat from the high proof. This is far better than almost every bourbon available today. 89 pts/B+. Along with the 1989 Pellehaut 27 year, this is the best Armagnac I've tasted in the past 6 months. Just don't expect to find the secrets of the 27 dimensions of the infinite multiverse. Thank you to Sku for the sample! Great review. Have you found the mind-melting, LSD-for-the-tongue, meaning-of-life-on-Ayahuasca experience in an Armagnac yet?